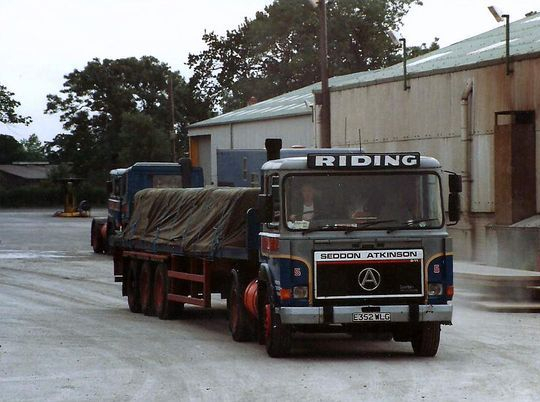 In October 1986 the Seddon Atkinson 301 Series became the 3-11 Series which incorporated cab improvements and some engine changes. By the following March the charge-cooled version of the Cummins LTA10-290 engine was made available as the alternative to the older LT10-25. Riding's introduced a number 3-11 4x2 tractor unit's into their fleet which were all at first powered by the Cummins LT10 and later the Cummins LTA10 engine. Click on either picture to view full size. Seddon Atkinson 3-11 Series 4x2 tractor unit Reg No E352 WLG Fleet No 5 'Sir Percival' was registered new on the 3rd of September 1987. It is seen here on the 25th of July 1992 as it returns to Longridge depot with a tri-axle trailer loaded with pallets of cement from the nearby Castle cement plant at Clitheroe in Lancashire. 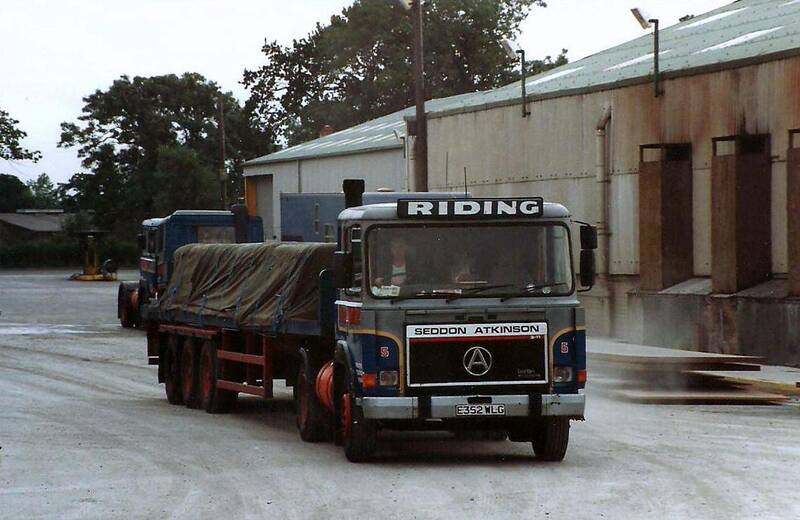 Another shot of Seddon Atkinson 3-11 Series 4x2 tractor unit Reg No E352 WLG Fleet No 5 'Sir Percival'. 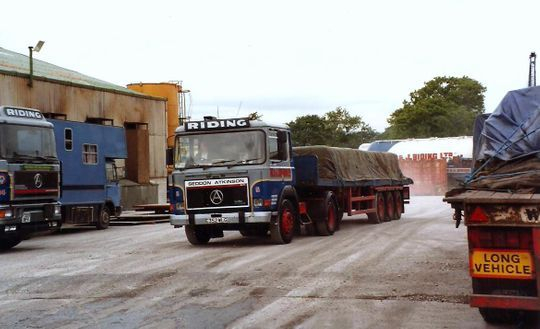 The driver is seen here looking for a place to park up after returning to Longridge depot with a tri-axle trailer loaded with cement on the 25th of July 1992.